We approach each project with equal enthusiasm and creativity regardless of size or value. Neal Prince Studio is the award winning custom residential design studio of LS3P Associates, LTD. and was founded in 1969. 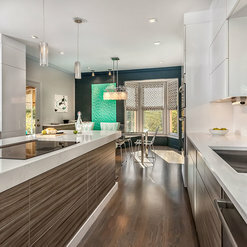 We pride ourselves on exceeding our client's goals by providing thoughtful, timeless, & creative home designs. 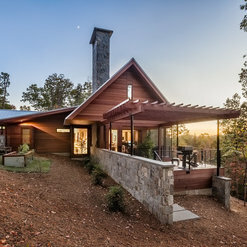 Our forty seven years of residential architectural practice is built upon founder Jim Neal’s belief that everyone deserves to live in a well designed home. Consequently, the studio provides outstanding design services for a variety of residential sizes and scopes-of-service, each tailored to meet the individual needs of our clients. 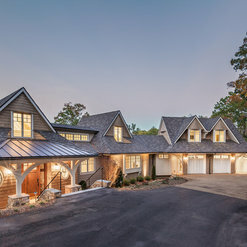 Our projects include luxurious resort homes, unique residences, urban infill homes, additions, renovations to historic homes, plus affordable and workforce housing. Our focus on energy efficient and ecologically sensitive design predates the current green revolution and provides proof that exceptional beauty and functionality go hand-in-hand with sustainability in our designs. Through the years, the trusted Neal Prince Studio name has become synonymous with design excellence. We recognize that great design is the result of a way of thinking and is not restricted to a particular housing type, size or style. 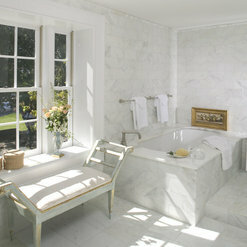 Contact us now to inquire about how Neal Prince Studio can help make your dream home a reality. 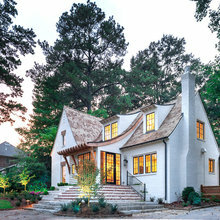 We used Neal Prince Studio in the planning of our home remodel in Greenville, SC. The project was probably small for them but we were treated as if our home design was of the highest importance. They worked within our budget and provided more than expected. John Edwards was the architect who worked personally with us and we would highly recommend him for any design project. John is friendly, very knowledgeable and easy to work with. Our firm worked closely with LS3P | Neal Prince Studio architects on an extensive contemporary kitchen renovation in Greenville, SC. It was a pleasure to work with John Edwards and his team of seasoned professionals! The mutual respect demonstrated tangibly in timely and effective communication of design provided a great experience for everyone involved throughout the project, especially the homeowners. We look forward to working together again soon. I am so happy with my project and the planning and architectural design LS3P provided. If in doubt, employ an architect! 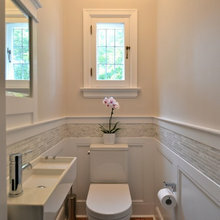 I feel that working with Lee and the team at LS3P eliminated silly mistakes and problems I would have encountered while building, but also allowed for creative aspects of my home that are special to me (things I pinned on Houzz, even!) to be incorporated into my build. I am a first time builder and I couldn't be more excited about the outcome. We really enjoyed working with you as well. 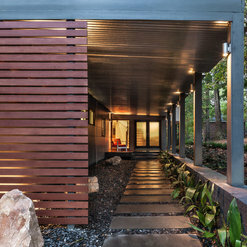 It was also very exciting to see your home recognized by the Greenville HBA Bridge Awards Program this spring. We had a great experience with John Edwards--his design fit beautifully into our historic home and hit just the right note of homage to the past while keeping in mind how the space will be used now and in the future. Bravo! I have had the pleasure to work with John Edwards on the design of my new home and he has brought so many creative ideas to the table that have helped me combine my vision with my budget. His experience and professionalism separate him from his peers and his relationships with builders and suppliers bring the added bonus of a team that will work in your best interest. Across the board, he is highly respected and my builder even breathed a sigh of relief when he learned that John would be working on this project. I can't wait to see the finished product but know that because of John and his team at LS3P, I will move into an amazing house that fits my personality and style of living. We were completely satisfied with the work done by LS3P. Working with architect Lee O'Shields, we were able to incorporate our design wishes into a home that would actually function for our needs. Our plans were approved on the first submission for permitting, which is often not the case. We now have a beautiful home as the result of a smooth design process. 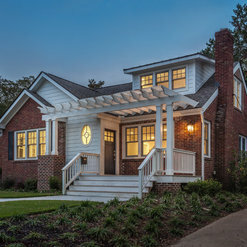 I worked with LS3P to design a home in downtown Greenville. The professionals at the firm, including Lee Henderson, who designed my home, are extremely talented and give great attention to detail. I highly recommend this firm before you begin your build. You will be thrilled with the outcome. 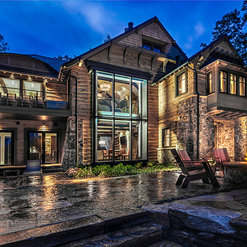 Our team at Fairview Builders has worked on a variety of beautiful custom homes with LS3P Neal Prince. 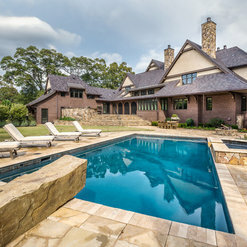 As a custom home builder with clients from all around the country (many of whom have not built a custom home before), we rely on the professionalism, skills, and communication abilities of LS3P to assist us and our clients in the design of truly unique homes that fit the customers’ visions and lifestyle needs. Since our first project with LS3P years ago, our clients have been unanimously and highly satisfied with the product that John, Scott, Lee and the rest of their team has provided. 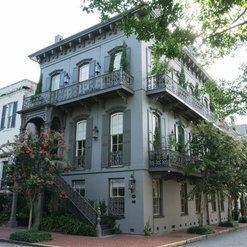 The styles of homes that they are capable of designing is unlimited, their attention to detail is sharp and this has undoubtedly resulted in their reputation as one of the region’s top architecture firms. 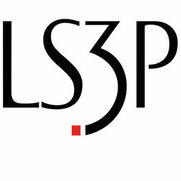 We are proud to work with LS3P and look forward to many successful future endeavors together. I have had the pleasure of working with the team at Neal Prince on several occasions. The team is a collective of skilled professionals that have an great reputation and a beautiful portfolio. They are creative and thorough and make a point to truly listen to each customer so every project is thoughtfully designed to be a reflection of the homeowners. They work hard to make sure their drawings are detailed and accurate which ensures a smooth construction process. They have the unique balance of creativity that is tempered by reality to create spaces that are not only amazing but feasible for your budget and vision. Most importantly they are a great group of people that are fun to work with that you can trust. I have had the pleasure of working with Neal Prince Studio for over 13 years. Their level of talent, expertise, professionalism, creativity, efficiency, diverse style and experience is unsurpassed in the market. It is obvious that mutually beneficial relationships are consistently achieved. I also appreciate their level of expertise in the window and door products I provide. They continue to explore different fenestration options for their designs. I always look forward to their next project and enjoy watching it become a home. Commented: stone type usedThis is Swannanoa stone from Western North Carolina. Commented: What is the width of the planks in the ceiling?As we recall, and they appear to be, 1x8 tongue and groove. Commented: what size is this room? ?It is 15'-8&quot; along the bedwall and 17'-4&quot; from the headboard to the armoire. The bay sitting area projects an additional 2'-0&quot; in each dimension. Commented: stoneMichelle, This is a roughly squared Tennessee fieldstone.